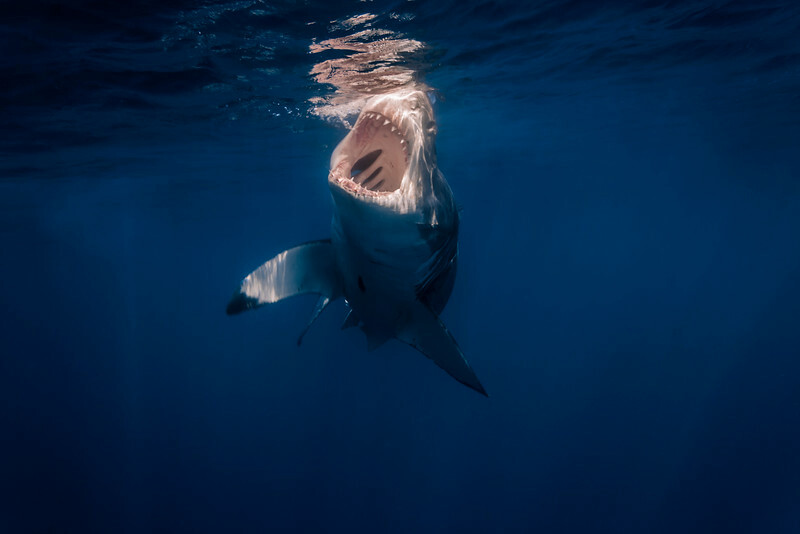 A great white shark (Carcharodon carcharias) at the surface with jaws open. This open-jaw behavior is not typically how we see great white sharks at Guadalupe. Yellowfin tuna (a naturally occurring prey item at the island) is used by some boats to attract the sharks. This shark was attempting to grab a bite of tuna just before this shot was taken.